A small princely state in Rajasthan is the last bastion of resistance against the might of the British Empire. While unrest surrounding the sudden death of the king of Devangarh grows, young prince Rudra Pratap Chauhan prepares to ascend the throne. But the kingdom is in turmoil. The Devangarh army is outnumbered and the British forces are closing in. To make matters worse, Rudra discovers the king’s death may not have been accidental after all. The strange appearance and disappearance of a mysterious hooded stranger and a series of ritualistic murders in which the bodies have been drained of blood, spread panic across the realm. As Rudra struggles to manage his new responsibilities and investigate his father’s death, dark secrets will be uncovered that will disrupt life as he knows it. This book is begins its story with the ancient legend of Ramayan. Later it takes you into the 19th century British Raj. It is quite an adventure filled historical fiction. I love as the mix of adventure, fantasy, and history takes place in the plot. The characters were well blend together and felt real to life. It felt as if I was reading something that has actually happened in the past. I loved the way story begins with the Ramayan. As the vanar, gets hold of the gem. It gets interested further as the plot gets deep in the Rajasthan. I really enjoyed the writing style and the narration has your interest in the plot throughout the read. It was quite a long read but you never feel the story was dragged or boring. It holds your interest throughout. Somewhere I felt the characters were explored a bit less. I know there were too many characters in the plot and it’d be tough to give a backstory or explore them all together in one book. But I felt even if the main characters like the Royal family could’ve been explored in better manner. I don’t count that as a flaw but something that could’ve been done. I feel the end was a bit abrupt. As the mystery and fantasy had a nice build throughout the book and the end was bit of a not so good way to end. Maybe because this book will be having a sequel? It can be read as a nice stand alone book for sure. 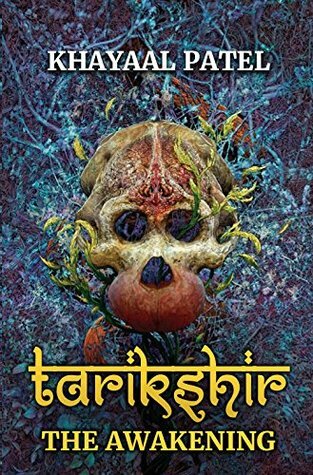 If you are someone who loves reading something fun, based of history and mythology, this can be surely a fun read for you.